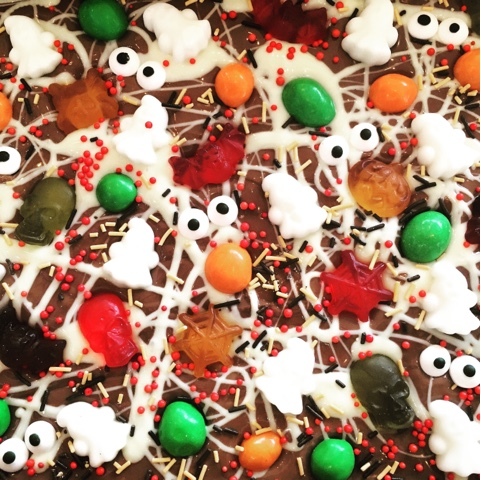 Spooky Halloween Chocolate Candy Bark. This no bake treat literally takes minutes to make but is such fun and really effective. 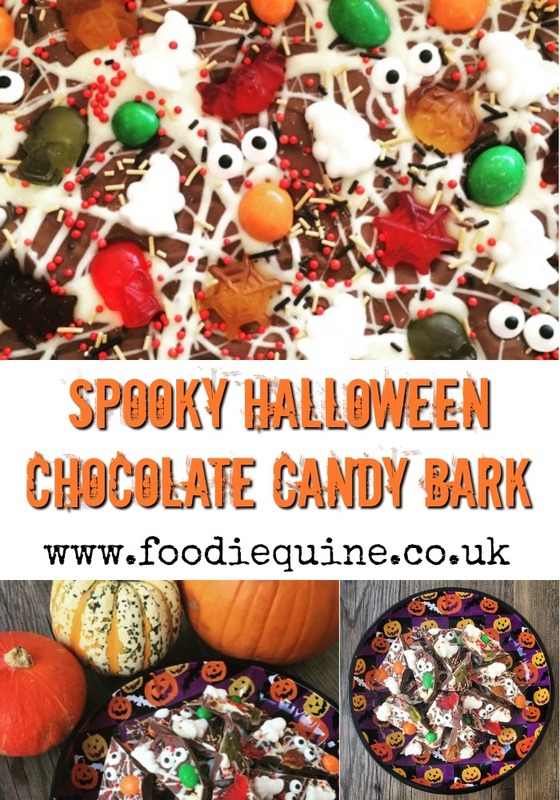 Perfect for Trick or Treaters - It's Bark is worse than its Bite! Boo! 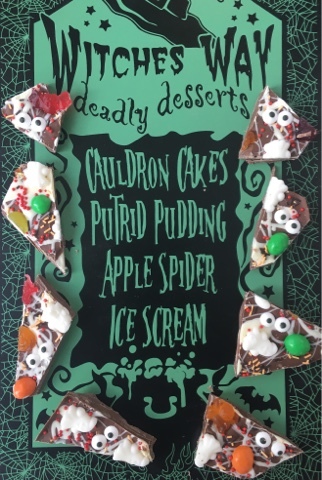 Tis the season of tricks and treats so I'm sneaking in with another quick no bake treat for Halloween. Hopefully you've already seen my oh so cute Peanut Butter Ghosts? Today's very loose 'recipe' is even simpler. It's more of a general idea and there are plenty of variations of it all over the interweb but this is the first time I've made some so I though I'd share what I did and how I did it. 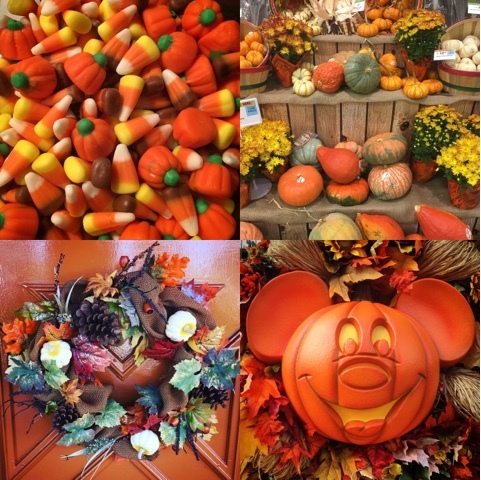 We were in Orlando for the October Holidays and everything was full on Halloween. I finally had my first taste of Candy Corn! Not as I expected at all, very much like fudge and no crisp shell which I'd always imagined it to have. Alas I never took any home with me as I ate a huge tub there and couldn't trust myself with buying more, so unfortunately it doesn't make an appearance on my bark. The sweets I have used are Spooky Colours Peanut M&M's, Randoms Halloween Spooky Mix and Edible Eyes. I also used some black & orange Halloween sprinkles and some red Christmas sprinkles. Red/orange/green coloured chocolate or candy melts would also be really effective as would those gummy teeth. To be honest pretty much anything slightly spooky goes! 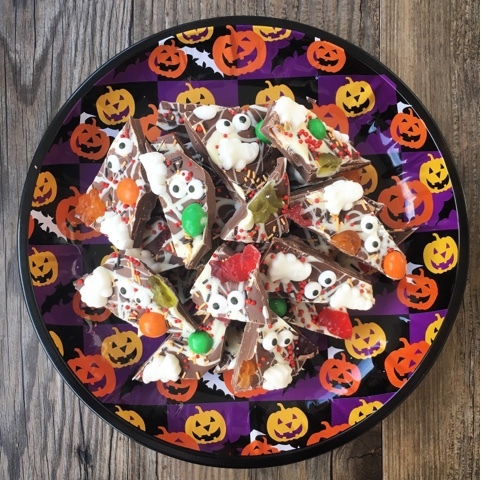 The US versions all seem to include cookies and/or pretzels so you could go down that route too or perhaps go more rocky road and add marshmallows. Scary has never tasted so sweet! Literally takes minutes to make but such fun and really effective. It's Bark is worse than its Bite! Line a traybake tin with greaseproof paper or a reusable non-stick liner. Melt the milk chocolate in the microwave or over a bain marie. Pour and spread it evenly over the base of the lined tin. Melt the white chocolate and drizzle and splash it randomly over the top of the milk chocolate base. 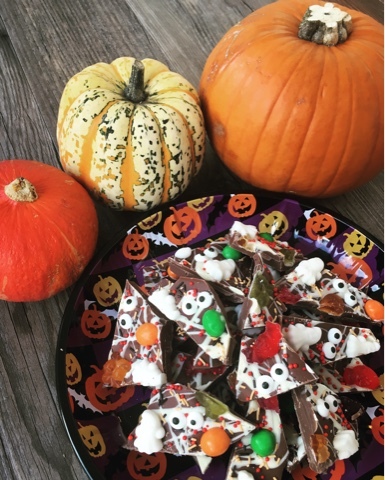 Push all of your Halloween sweets firmly into the chocolate and scatter over the sprinkles. Pop the bark in the fridge until set and then chop into random shaped pieces. If you want to get ahead of the game with your Christmas prep be sure to check out my recipe for Candy Cane Bark. This is really cute and I bet my boys would have great fun getting involved in the decorating (and eating) too. Good way to use up some of the Candy haul from Trick and Treating too. This looks brilliant! Any kid would have a great time making and eating this - as would I! Is it bad that I made it whilst my kids were at school? That way I got to eat all the spare sweets! that is such a good way to use up all those cake sprinkles. Now where is my cake decorating box? Great idea Claire. Love those googley eyes and the pumpkin Micky Mouse is super cute. Sounds like you had a fab time away.